Merger and acquisitions (M&As) have become in indispensable part of Indian corporate environment. Business efficiency warrants that companies and organisations must be merged with or acquired by others for better performance and enhanced profit margins. A merger is a combination of two or more businesses into one business. In India the term “amalgamation” is used synonymously for merger. An acquisition may be defined as an act of acquiring effective control by one company over assets or management of another company without any combination of companies. Thus, in an acquisition two or more companies may remain independent, separate legal entities, but there may be a change in control of the companies. 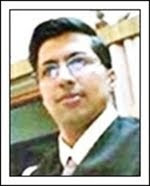 However, Merger and acquisitions are not a free ride and they are subject to various Laws of India, informs Praveen Dalal, managing partner of new Delhi based IP and ICT law firm Perry4Law and leading techno legal expert of India. Further, talks are in progress for excluding Banking Related (M&As) in India from the ambit of Competition Commission of India (CCI), informs Dalal. With the recent proposed amendments in the Banking Regulations Act, 1949, now only Reserve Bank of India (RBI) would have power to regulate M&A pertaining to banking sector. In fact, the proposed amendments have already been approved by Cabinet of India. The CCI has released the Competition Commission of India (Procedure in regard to the transaction of business relating to combinations) Regulations, 2011, informs Dalal. This is a good step in the right direction, says Dalal. Now corporate mergers and acquisitions (corporate M&As) would be regulated in India with effect from June 1. The new norms have been drafted with the objective of curbing anti-competitive practices adopted while engaging in M&As. However, M&As that commenced before June 1 with definitive action have been kept outside the competition watchdog's purview. Similarly, a combination taking place outside India with insignificant local nexus and effect on markets in India will not come under the purview of CCI. Now the M&As like the proposed Cairn-Vedanta may fall under the purview of the CCI. Though the companies have got the approval from their boards of directors and the process of acquisition is well underway, the deal is yet to be sealed. Let us see how much fairness these proposed regulations would bring in the corporate M&As regime of India. Can Raghu Raman Deliver Natgrid Project On Time? Will Natgrid And NCTC Be Established In India? Has Parliament Of India Become Redundant?